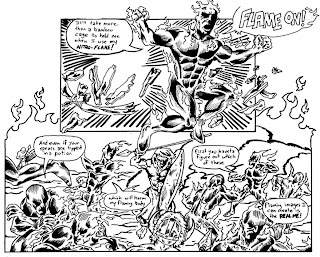 Posted June 7, 2009 in The Fantastic Four No.9 Project, The Human Torch. classic Lee/Kirby FF issue at The Fantastic Four No.9 Project. page 16 is featured above, for the details to this wonderful project.